Peach season – Snug Hug & Co.
Summer season is rich in colorful and tasty fruits and vegetables. 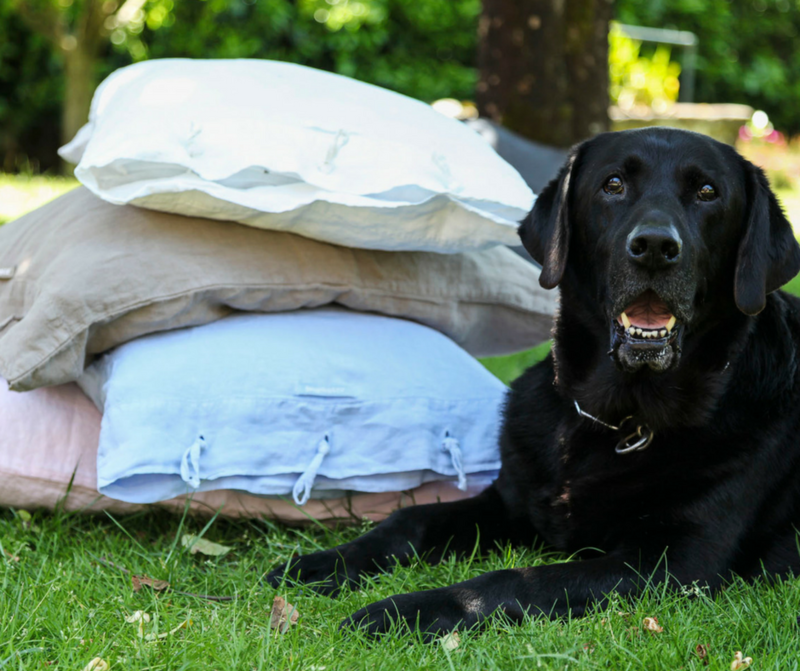 Today will leave you with some amazing peaches’ info and beverage recipes! 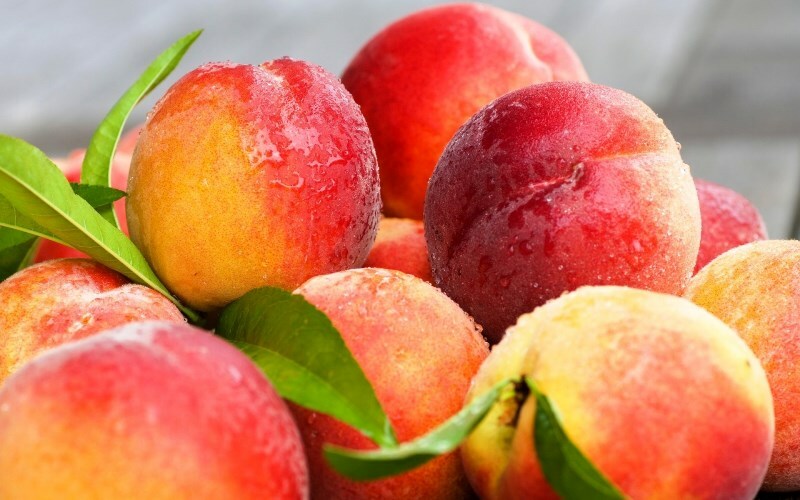 Do you know how to choose peaches and get the best out of them? To buy the sweetest peaches, examine the base color of the peach. The lightest color in the peach should be a warm hue, whether the color is orange, yellow or cream. The most delicious peaches will have no hint of green undertones. When selecting peaches, don’t bruise them by squeezing them, but don’t shy away from bruised peaches since they can be quite sweet. Now, let’s go into the kitchen and get your summer on the move! 1. Combine the first 3 ingredients in a medium saucepan over medium-high heat. Bring to a boil; reduce heat, and simmer 3 minutes. Place peach mixture in a blender; let stand for 20 minutes. Remove center piece of blender lid (to allow steam to escape); secure blender lid on blender. Place a clean towel over opening in blender lid. Blend until smooth. Pour into a large bowl. Refrigerate for at least 3 hours. 2. Press peach mixture through a sieve over a bowl, reserving liquid; discard solids. Stir in lemon juice. Place 1/2 cup ice in each of 8 glasses. 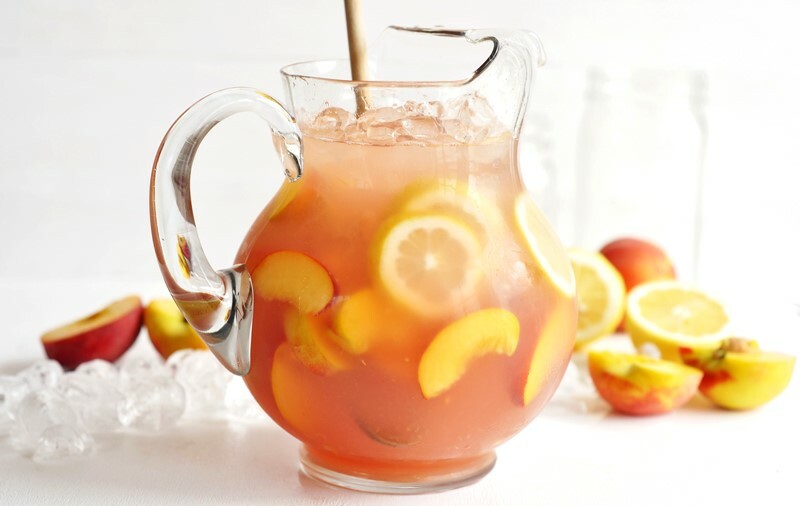 Pour about 2/3 cup lemonade into each glass; garnish each glass with 1 peach wedge. 1. Combine first 3 ingredients in a small saucepan; bring to a boil. Remove from heat; cool to room temperature. Strain rosemary syrup in a sieve over a bowl; discard solids. Cover and chill at least 1 hour. 2. 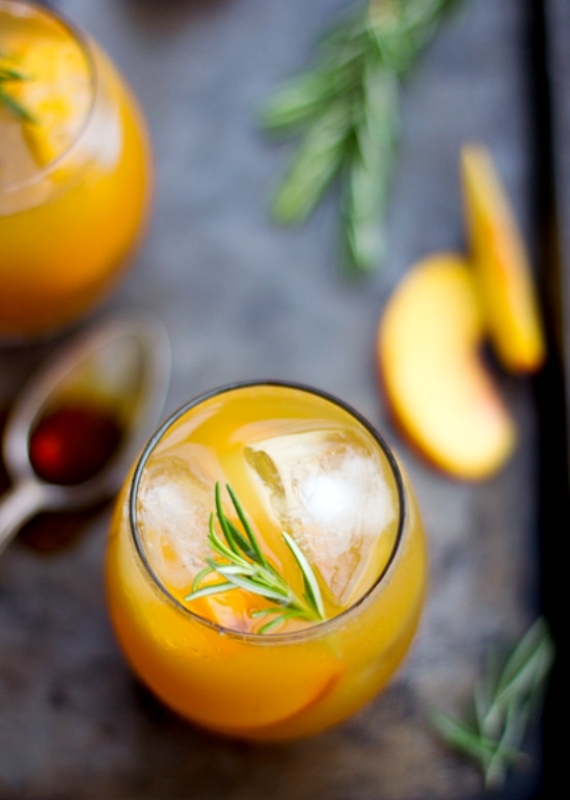 Place rosemary syrup and peaches in a blender, and process until smooth. Strain mixture through a sieve over a bowl; cover and chill at least 4 hours. Spoon about 2 tablespoons peach syrup into each of 8 Champagne flutes, and top each serving with about 1/3 cup Champagne. *these and other recipes at My Recipes. This entry was posted in Inspiration and tagged fresh, fruit, peach, summer.